A goal gives your efforts a structure. It is a kind of prism that narrows your field of attention, increasing its density. Being super-tasks, goals make your time ordered and are meant to help you plan your life. But sometimes not achieving a target, especially an important one, can demotivate you and even make your work and hobby (or life) disappointing. In this article, we want to show you how you should set your writing goals in order to improve your texts and avoid failure. 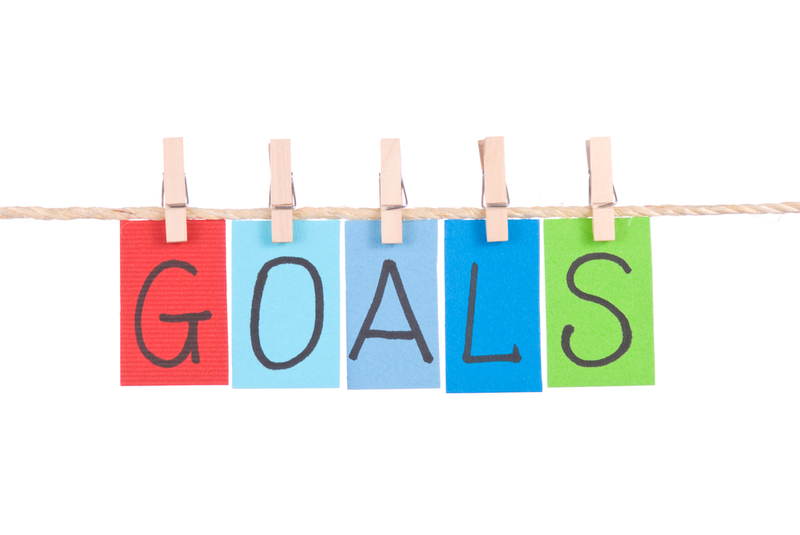 Why should you write down your goals? Hyperthymesia is an ability to remember every minute of one’s life, and it is diagnosed only with 60 people in the world. You’re not among them, and that is why you need to write down stuff. Especially your objectives, as sometimes forgetting them can lead you to laying on a coach for days wondering “what do I want from my life?” Don’t forget what is important to you. If you have ever heard political speeches, or have read love letters of the Medieval era, you know how brilliantly veiled a text can be—the truth in it being disguised by long and sublime words. Numbers, on the other hand, are relentlessly honest and leave no place for dodging. That explains why when setting goals for writing, it’s better to make efforts towards “writing 1500 words every day,” instead of “writing a bestseller in a lifetime.” Make your objectives measurable, and put them in numbers, especially if they concern something as subtle as creative work. Setting targets for writing can especially help if sometimes you suffer from writer’s block or a blank page. How can writing be measured? You probably already track your time and count words in your texts. For sure, these KPIs are the most important for a writer. We want to show you some more ways in which you can use them, and propose you some other performance indicators you can apply when adding a target to improve your writing. Track time spent on a text. It’s not only about the time you spend hitting a keyboard. Track time you’ve devoted to preparation, to thinking about a topic, to speaking on it with people, to gathering information. If you know what the weak points are of your writing, try to plan your work accordingly. For example, if your articles don’t cover the topics fully, maybe you need more time on learning from relevant sources. If your texts are not structured enough, maybe you should give more to your preparation and drafts. If your editor corrects too many mistakes in your texts, maybe you should find some extra minutes to reread your work yourself before submitting it to anybody else. The number of words written. For sure, editing, proofreading, and preparation are extremely important. But any text, first and foremost, is a bunch of words on a paper. So, what is the minimum you should never go below? What is the maximum you shouldn’t exceed more than twice a month to avoid a burn-out or death from exhaustion? Find your average efficiency level, and make it your daily goal, increasing it by 10% each month. The number of mistakes noticed by a writing app, your editor, or your proofreader. Ask for feedback from specialists of writing. If you already do it, you probably know what your most frequent mistakes are. Work on them, reread your texts, trying to detect these exact faults and eliminate them, one by one. The number of vague sentences you managed to transform into clear and concise ones. That is not easy, but try to count the percent of your text that is unclear. Your new writing goal for this month will be to make reading your texts at least 19% easier. Try to do it by rewriting one-fifth of your weak sentences in a more comprehensible manner. What an inspirational achievement that would be! The percent of adverbs to cut off; the percent of verbs to use instead of nouns and verbal nouns. Knowing how much of these you’ve managed to do will help you evaluate how much you’ve improved your writing. In numbers. By using these kinds of KPIs, you will be able to measure your progress in numbers, month by month. How can you tackle difficulties when trying to achieve your goal? Start. If your brain doesn’t know what to write, your fingers definitely do—so just put them on a keyboard. Write at the same moment you thought about it. The most productive writers work in the morning when they haven’t managed to invent excuses for not writing yet. Make a draft as soon as you get an assignment. You don’t have to make a perfect text all at once. Start with a draft, and it will help you to understand what information you need to complete a piece of writing. Allow yourself to be messy. If you are not able to produce a good composition today, make a bad one instead. And rewrite it tomorrow. Forget words like “procrastination” or “writer’s block.” Give it a real name: fear to fail, and learn how to deal with it. Coaches for writers say writing crap can help. Allow yourself to be imperfect, and put your inner critic to bed for a while. When feeling down, do something about your writing without writing. Read, watch, listen, or clean up your table at last. Keep a notebook to write down every worthy thought. It is really frustrating when all you remember about yesterday’s idea is that it was brilliant. Find a believer. You have an editor, a proofreader, a chief editor, and a person who doesn’t like your style. That is too much criticism. Find somebody who knows you are good, and who will be able to remind yourself about your worth from time to time. You can use gamification as well when setting and fulfilling your goals. It depends on what works for you, but we would recommend you to avoid making a doughnut, a cigarette, a hit, or a pint your reward. Work on your own system of penalties and a reward plan (from which your body will benefit as well). Make a map of your achievements, putting all of them on paper, so you can see your progress and be proud of yourself. Remember the fulfillment of a daily plan for a number of words deserves a reward as well. How many pages do you need to write in a month? How many words in a week would that be? Do you want to have a couple of days off from your writing, or do you prefer to write every day? Plan it. Good schedules are implemented because they take into account all possible situations. In order not to ruin your plan, put all unpredictable situations you can think of in it. Let your plan be more like a deal with yourself. Think about how to reach a number of words if you suddenly get sick. What is more important than your writing, and what should never be on your way to your target? To avoid a block that a blank page can cause, always leave words unwritten even if you think you should put them on a paper to fulfill a plan. If you are working on an extensive task, always leave yourself a hook. Imagine you are finishing a script for one episode of a TV series, and you need the audience to wait for the next episode. Make the same for yourself. You need yourself to stay interested in the assignment tomorrow, so put some suspense in the last sentences of the text you finish today. Sometimes, when chasing after achievements in one sphere of our life, we forget about others. Do not make this mistake. Your main goal, which will stand above any others, must always be happiness. Imagine your life as a polygon, whose peaks are the markers of your satisfaction with different areas of life. For a polygon to resemble the ideal geometric shape—a sphere—it is necessary that all the peaks are high, and none of them sag. In addition to your writing that should be improved, you also have a body to take care of, surrounding people to love, and a house to be comfortable to live in.